In her farewell speech, Acting Chief Justice of Delhi High Court, Justice Gita Mittal referred to the Delhi High Court as her “karma-bhoomi”, but added that she is just getting started and has miles to go before she sleeps. On being told that she is breaking the glass ceiling and making history, as she will now be taking over as the first ever woman Chief Justice of Jammu & Kashmir High Court, she said, “As a woman, I have constantly questioned myself about the glass ceiling; as to whether I have ever managed to break it? However, life has taught me that the ‘glass ceiling’ is not about arriving at a position - getting a law degree, becoming a lawyer, getting appointed as a judge or even as a Chief Justice. Justice Mittal is an alumna of Campus Law Centre, Delhi University (DU), and began practicing in 1981. She was appointed as an Additional Judge of Delhi High Court in July 2004, and was confirmed in February 2006. She has been serving as the Acting Chief Justice of the High Court since April 2017. She recalled that she entered the Bar at a time when the stalwarts in the profession were Mr. Sardari Lal Bhatia, Justice Madan B. Lokur, Mr. Dilbag Rai Sethi, Mr. R.D. Mehra, Mr. K.K. Sud, Mr. Ishwar Sahai, Bawa Gurcharan Singh and Bawa Shiv Charan Singh. She went on to elaborate on the lessons in values and law that she had imbibed from all of them, saying that she taught herself the habit of honesty, hard work, commitment to principles and a cause— “but for these habits, I would not have been here,” she added. In addition to highlighting the invaluable characteristics of all her fellow judges, she also thanked the Bar, the Registry as well as media personnel, who she thinks “have proved to be the true surrogates of the citizens of Delhi”. “I can proudly proclaim that the reputation that the Delhi High Court boasts of is not only because of its talented Bar but also because of its efficient Registry. Ours is perhaps the only Court in the country where a matter filed on one day is placed for hearing on the very next day. In some urgent cases, we are able to list on the same day itself. I have had a special honour and role in this court since 13th April 2017,” she said. 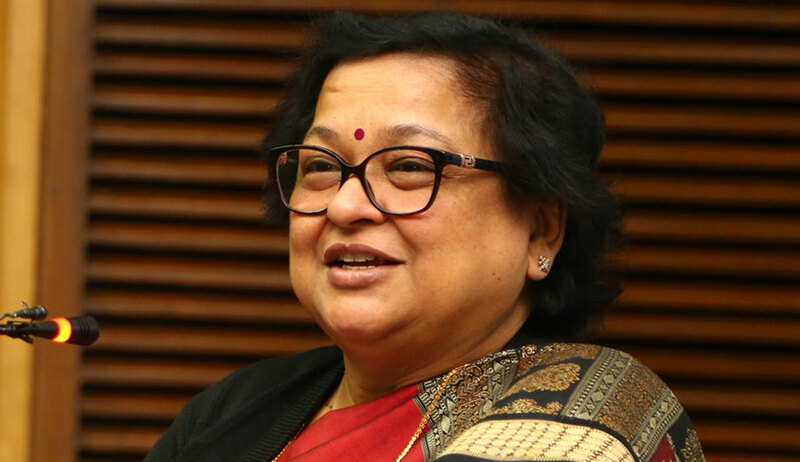 As for her thoughts on leaving Delhi, an emotional Justice Mittal said that she wanted to carry with her the “goodness that is Delhi, the abounding spirit of inclusion, equality, non-discrimination and justice of our courts in Delhi”. Justice Mittal ended her address with Charles Dickens’ words: “We forge the chains we wear in life”, adding that she would want to remain attached to this institution throughout her life.